I recently built my first home theater, and decided to go with Sony speakers. I paired the Floor Standing 5000’s with a 5000 series Center Channel and a set of 1000 series Bookshelf speakers for the surrounds. The sound is really amazing! 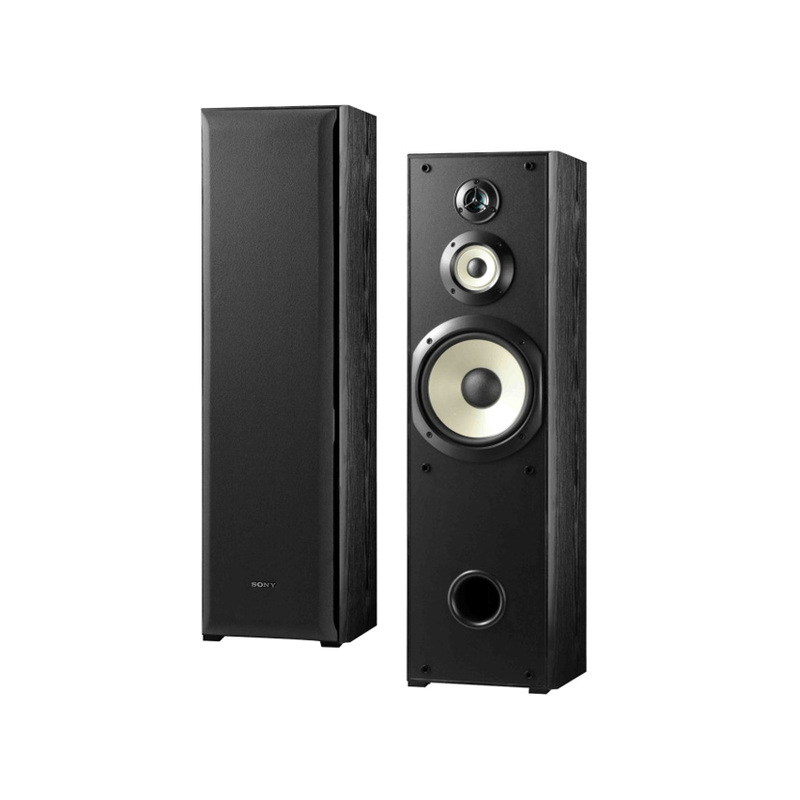 I was impressed with the range of frequencies and clarity these speakers produced. Lows, mids, highs……beautiful! When I added a sub, I couldn’t believe how much more enjoyable the system became. I have everything hooked up to a Yamaha RX-V471 5.1 receiver. I am soon going to replace the Bookshelf surrounds with another pair of these Floor Standing 5000’s. Anyway, the only pr of these in the store, were floor/demo models…..they are now in my bedroom….a welcome addition. The boss is happy with them too. Let me just say that I was planning on spending significantly greater amounts on my BR speakers..but am totally satisfied with these….reallyreally. Nice! Am I a critical listener???? Yes! The sonys again as always…satisfy my critical ear ( and eye)…especially at this pricepoint……. I’ve been replacing old speakers from the 80’s. I bought the SS-B3000, the SS-F6000 and these. The 5000s are by far the best pair. Like the smaller bookshelf speakers, they use the 8 inch woofer. Work beautifully in a 13 x 26 foot room driven by my 100 watt/channel receiver. For a bigger room I would go for the 7000s. The smaller woofers in the 6000s are disappointing. I could not be more satisfied with the 5000s, especially at the price. Back in the 80’s, I would drop a weeks’ pay for an inferior speaker! For $160 these speakers really can’t be beat. I am putting together (piece by piece) my own surround sound system for the first time. I only had the money for the two front channels to start with. I don’t know a lot about speaker. I run these speakers off the Sony STR-DH710 receiver.